Fancy a burger? Of course you do. Whether you like them medium or rare, smothered in cheese or layered with bacon, one thing we can all agree on is there's nothing better than the first bite of a perfect burger. And to make sure that every burger you eat is actually perfect, we're helping you out with our ultimate guide to the best burgers in London. 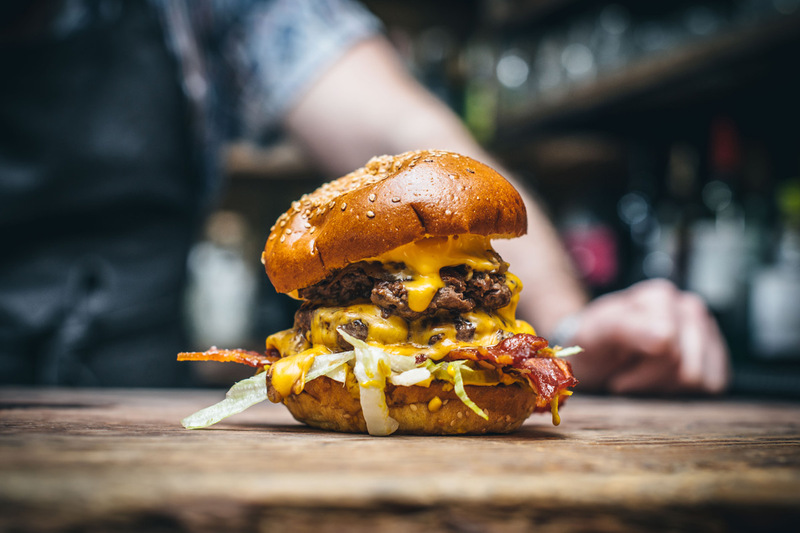 Read to find out our favourite burger restaurants in London and the places perfectly primed to deliver burgers to your office with City Pantry. 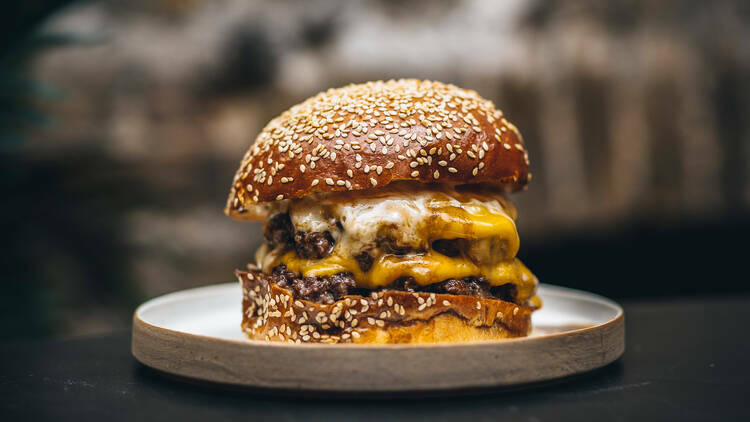 Using super locally-sourced ingredients - like brioche buns from Bread Ahead Bakery, meat from HG Walter and cheese from Neal's Yard - the burgers from Patty & Bun might just be the best burgers in London. Which explains all the queues outside their restaurants. In fact, we love Patty & Bun burgers so much we picked a few of our favourites you need to be trying next time you visit one of their 8 locations. But if you're desperate to skip those queues? We've got you covered. At City Pantry we deliver all of Patty & Bun's burgers direct to your office. Easy. When it comes to talking about the best burgers in London, it's a little bit impossible to ignore Honest Burgers. With 23 branches in the city and counting, Honest Burgers still hasn't lost its sheen from when they first started. Londoners still love the signature Honest burger (thanks in part to its super sweet red onion relish) and once you've tried the Tribute burger you'll understand why they're so highly regarded. With American cheese, French’s mustard, bacon, pickles and a patty made from 35-day dry-aged British chuck steak, the tribute burger from Honest is a memorable little (big) treat. Translating to “chopped” in French, Haché stand out from the crowd by making every single burger they serve a truly luxurious experience. Take their Steak Bavarian burger for instance. With caramelised onions, mustard mayo and succulent beef steak all topped with smoked Bavarian cheese, this is as deluxe as a burger in London gets. And the best part - you can get this taste of luxury delivered to your desk with City Pantry. Interested in burger delivery in London? Look no further. In a burger market becoming increasingly oversaturated, where quality of produce is starting to rule the roost, Shoreditch's newest burger joint has it nailed. That's because the aged beef used at Burger & Beyond comes from their own farm in Colchester, so you know the meat is always going to be the star of the show here. See what we mean by trying The BBB - a burger topped with American cheese, bacon and burnt butter mayo. It's so good, and so big, you'll soon learn there's not much room for anything 'beyond' this bad boy. 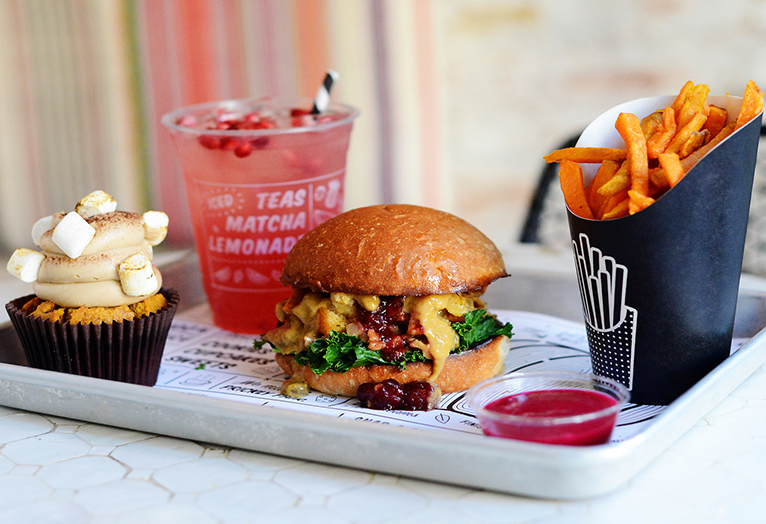 Vegan fast food that doesn't compromise on flavour, NYC-export By CHLOE serve what is undoubtedly the best vegan burger in London. The Guac Burger - made from a mixture of black beans, quinoa and sweet potato, with toppings including crisp tortilla sticks, corn salsa, a spicy chipotle aioli, and a mound of creamy guacamole - is so good that it might not just be the best vegan burger in London. But the best burger full stop. And you can get every delicious meat-free morsel delivered to you with City Pantry. Sorted. Serving legendary burgers for over forty years from the shores of Hawaii, Kua 'Aina is a burger place in London that has something no other burger joint can offer: an endorsement from Barack Obama. The former President visits Kua 'Aina's Hawaii location when he's back in the state, and it's probably something to do with the burgers here being truly delicious. So order Kua 'Aina for the presidential endorsement, but keep ordering from Kua 'Aina for the succulent burgers that hit the spot every single time. There's no doubt about it, the Veni Moo burger from Scottish game restaurant Mac & Wild is a bit of a game changer in itself. 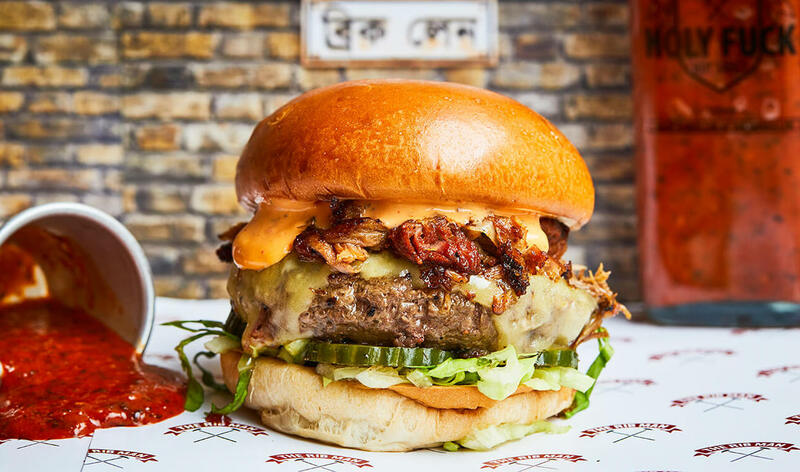 Featuring a delicious, gut-busting heap of beef, venison, melted cheese, caramelised onions and candied bacon, the Veni Moo is a meat-lovers dream of a burger, and even held the title for the best burger in London. And for very good reason. So if you want to taste what all the fuss was about? Mac & Wild are available for burger delivery on City Pantry. 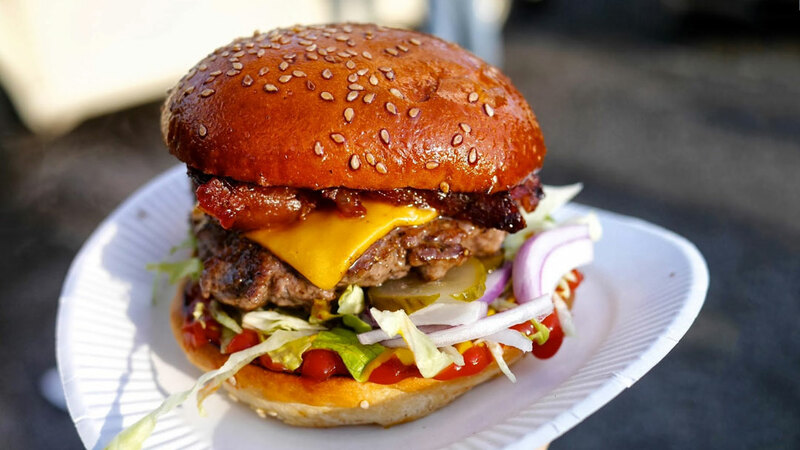 If you're a burger lover in London, you probably know all about Twisted London already. 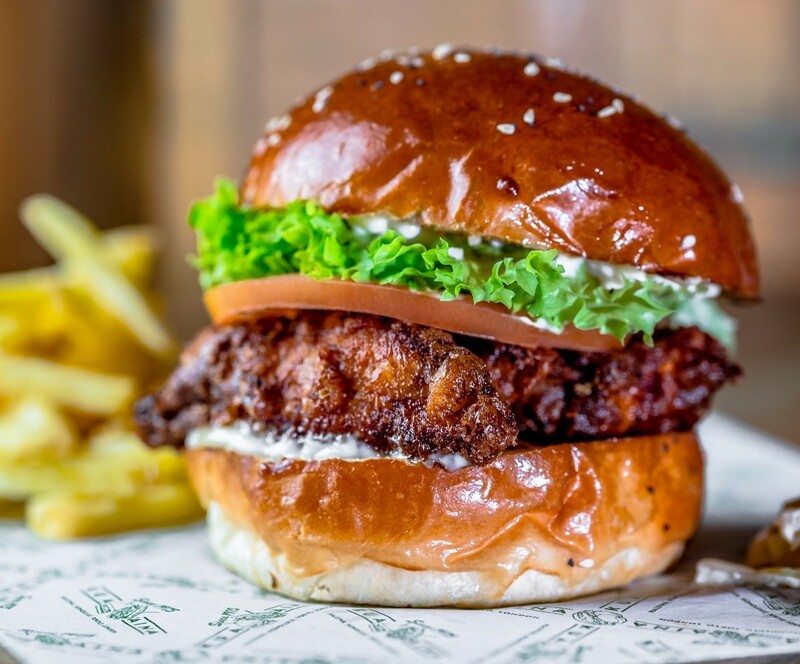 Bringing incredible mouthwatering creations to life on their delivery-only menu, the guys at Twisted really know how to create the best chicken burgers in London. 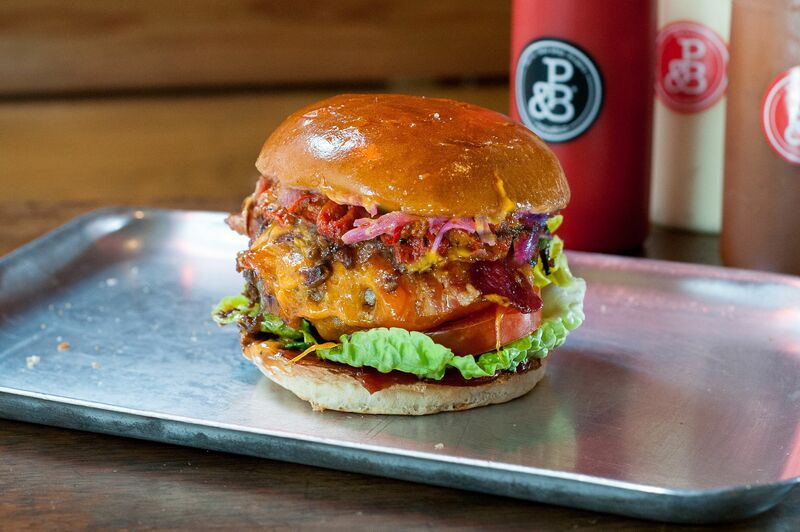 And it's not just the taste that makes Twisted one of the best burger places in London. They even have loads of vegan burgers and gluten-free burger options so nobody is left out with Twisted. So with that in mind, get your mouth around the Hot Swayzee or their vegan KFV burger. You won't be disappointed. It might be just a humble market stall, but that doesn't mean the burgers aren't flippin' good. Fat, juicy patties, crafted from a blend of 28-day aged cuts of beef are the star of the show at Mother Flipper. The buns are soft, bouncy brioche, and the toppings run from the classic to the inspired like candied pieces of streaky bacon. And it's the Dirty Barbie burger - with candied everything from bacon to onions - that's the best thing on the menu at Mother Flipper and the reason Londoners go back again and again and again. 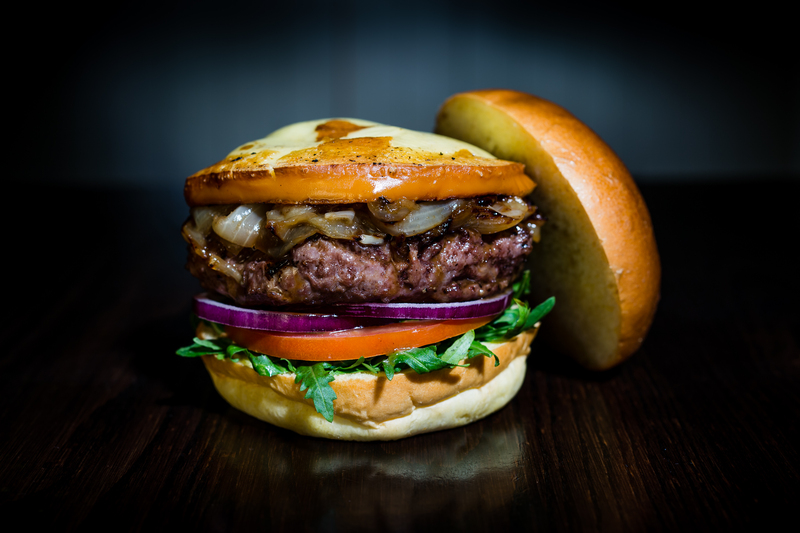 Want to get best burgers in London delivered to your office? At City Pantry, we do food at work the right way. By connecting your office to London's burger restaurants, we deliver their food without any of the fuss. And all for the same price as going direct. So what are you waiting for? Join over 700 companies who trust us every week and see the restaurants we can deliver straight to your workplace.